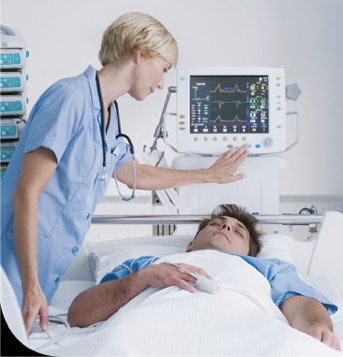 Point-of-care testing (POCT) is medical diagnostic testing performed at or near a patient’s bedside. As opposed to conventional medical testing, which entails sending specimens to laboratories, POCT yields results in minutes instead of hours or days. 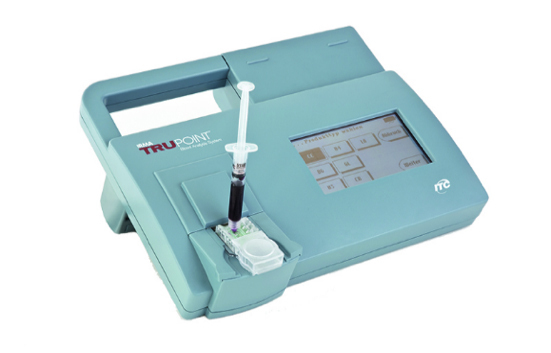 POCT can include blood glucose testing, blood gas, metabolites and electrolytes analysis, etc. Tests are performed on portable instruments, with the use of disposable test strips or cartridges. The challenge with POCT instruments is to provide the complexity of conventional lab equipment in small, portable devices. In a subset of these instruments, analytical methods are used that are temperature sensitive. For instance, the conductivity of blood samples is a quantitative measure of analyte content. However, conductivity varies when blood temperature changes, so the blood sample’s temperature must be accurately monitored and controlled to assure reliable diagnostic results. If the temperature of the diagnostic sample is not within specifications, faulty results will be generated. Measuring blood sample temperatures using a non-contact (IR) sensor is the prefered approach to ensuring accurate, reliable diagnostic results. In POCT applications, non-contact sensors have many advantages over contact sensors. The main advantage of an IR sensor is its ease of use. Unlike contact sensors, IR sensors can be integrated into test cartridge holders, ensuring that the cartridge and sensor are properly aligned for accurate results. Additionally, contact sensors have slow response times, while IR sensors can offer the fast response required by POCT applications in which the blood sample is small and may rapidly change temperature. Since POCT instruments are designed to be small and portable, a small-sized sensor is ideally suited to this application, and, as with any diagnostic results, the temperature sensor must ensure a high level of accuracy. Another criteria in considering the right temperature sensor for POCT applications is the device’s susceptibility to cleaning agents. POCT instruments must be thoroughly cleaned on a regular basis with potent cleaning agents that meet hospital regulations. A sensor solution must be chosen that can withstand the corrosive properties of harsh detergents. Interchangeability error of +-1% - results will remain the same between different machines.